Aster wanted to be friends with the world. Once he’d befriended them, he would use them to make art. He thought that the expressions people made was the most beautiful art in the world. Sorrow, anger, loneliness, betrayal, those were some of his favorites. He wasn’t creative himself, but he would love to make someone paint people in moments when those emotions were shining through their faces. 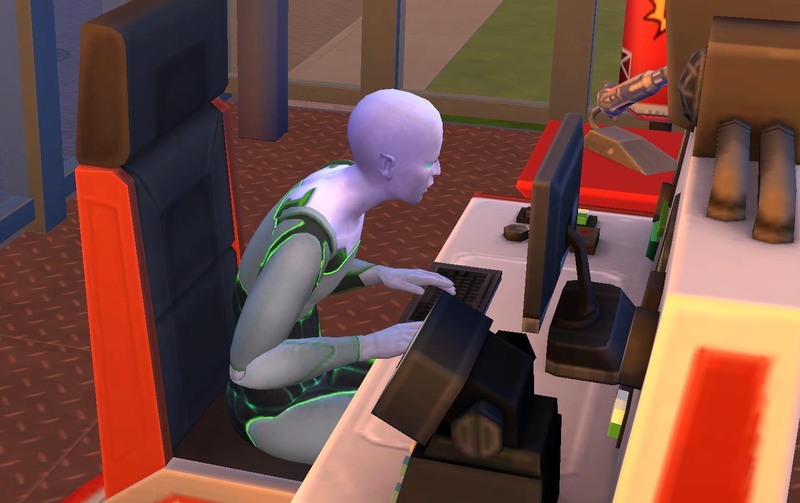 Before his night shift began Aster spent some time online investigating the families in town. He would have to choose someone to abduct and keep for study. Eventually he would return them, of course, but not until he’d completed his job and done his studies. When he was finished night was falling. It was time to take a closer look at the observation records for the day and do some observation of his own. 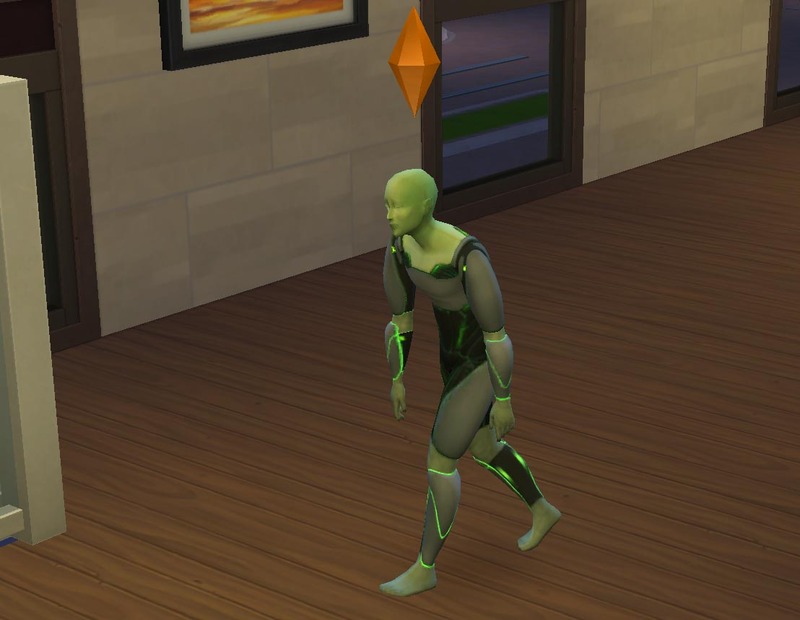 He headed outside and into the tiny observation building. Had he been paying attention, he might have noticed other people working on the same shift he was. Being a loner, he didn’t really notice. Rose enjoyed music and sports. He loved a good party and wanted to compose music no one had ever heard before. 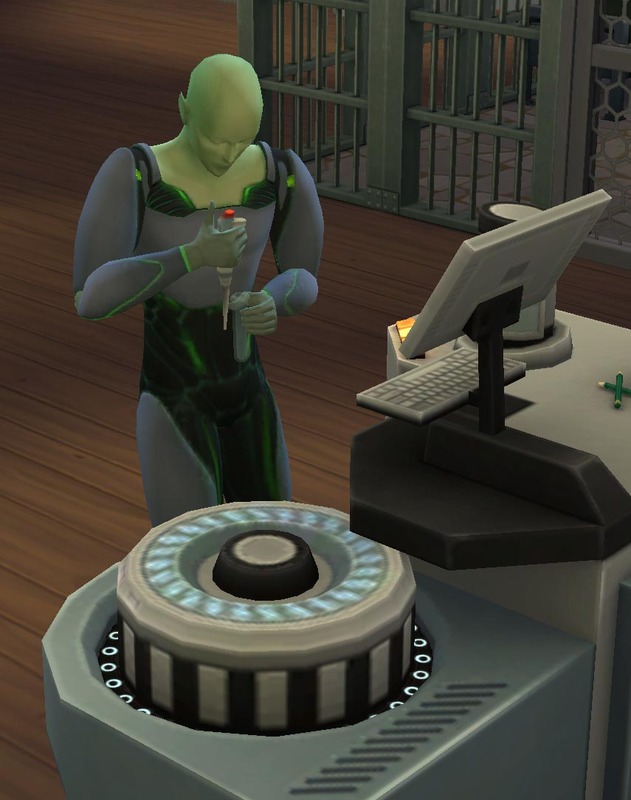 His job was to diagnose in detail all information learned about the human sims. He took it fairly seriously. “How will you work until there’s actual data to look at?” Carnation had asked him when they were eating breakfast together early in the day. “I’ll figure something out,” he’d replied. Rose figured he’d learn the equipment, then go see what was playing on the sports channel. No one was going to be awake to notice. Sadly Aster was around when he got started. Although Aster didn’t seem overly interested in him. Mostly he just stared at the machine as if it was working on its own. 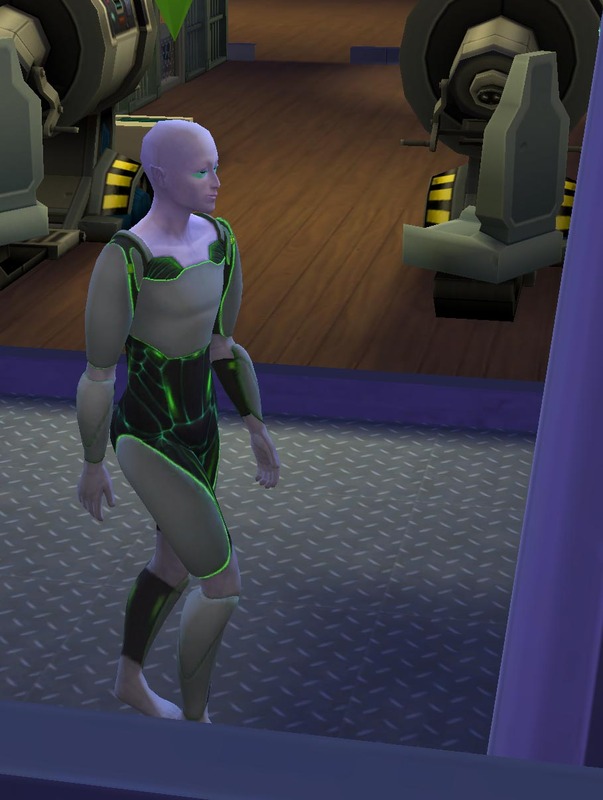 There was an extreme feeling of relief when Aster turned away and went outside to the telescope. The damage was done. Although Aster hadn’t said a word Rose no longer felt safe going into the break room to watch tv. Instead he did some tests on samples already around to make sure the equipment was working properly. It was pretty obvious that someone other than him had been using the equipment, but his word would be final, so he didn’t worry about it too much. 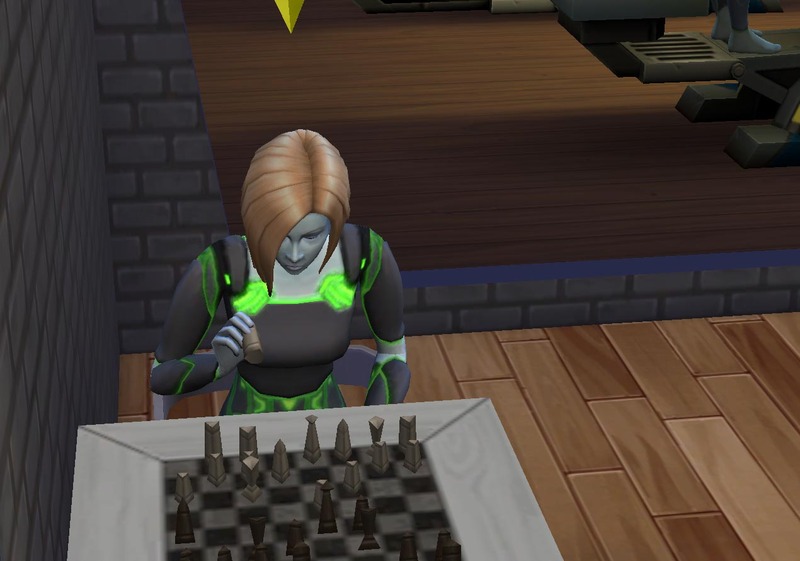 With so many people paying attention to her, Carnation spent most of her shift playing chess. Sandlewood had already cooked a lot, and the dishes just didn’t take all that long to do. 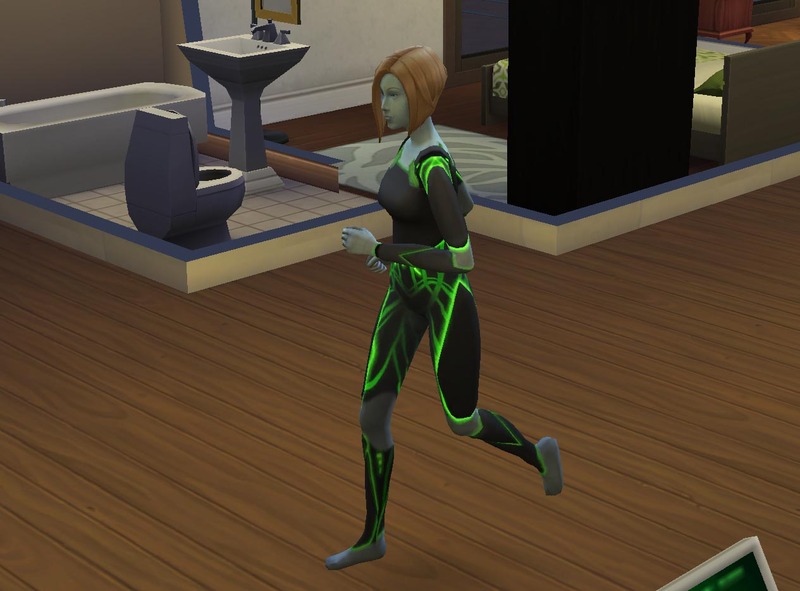 At the end of the night she took a quick jog down the stairs, had a bite to eat and went to bed, feeling good about her logic skill. Rose, on the other hand, really dragged as he left and headed straight to bed. 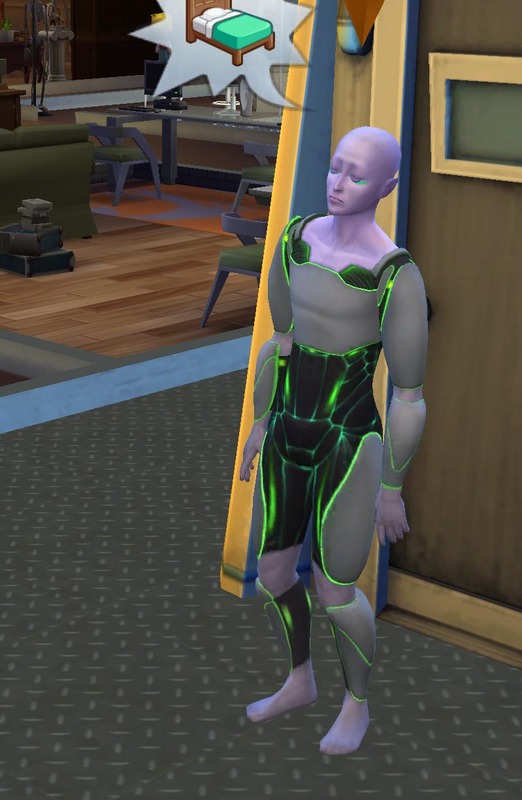 ‘I’m so tired,’ Aster thought, as he left the darkness of the observation building. He closed his eyes, swaying a bit. Then he had a sudden wave of energy as he realized what he’d accomplished. ‘Tomorrow I will go get our first guest!’ The good cheer followed him all the way into sleep. 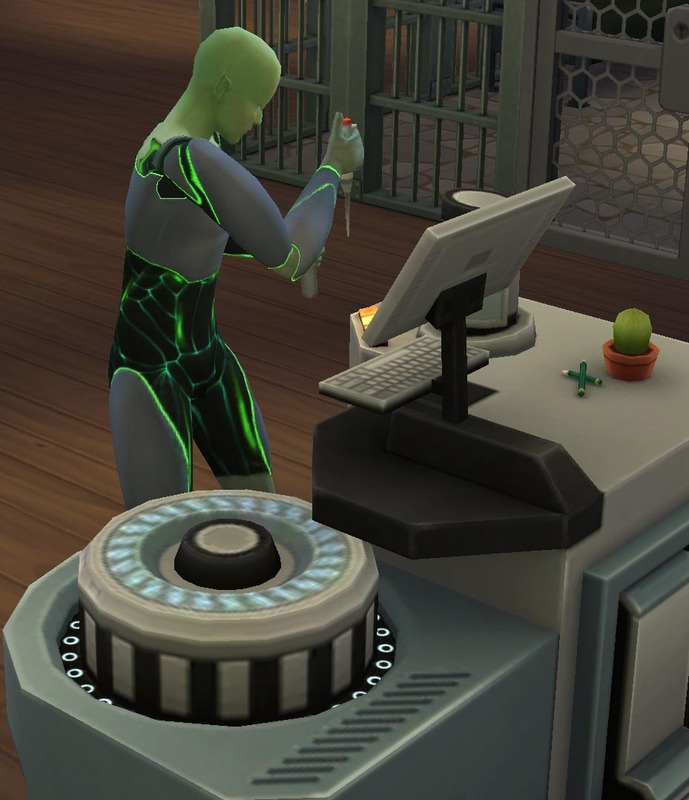 Aster seems pretty diabolical… I think it is going to be tough to watch the sims being studied by these aliens. He’s just a ball of odd traits and desires. 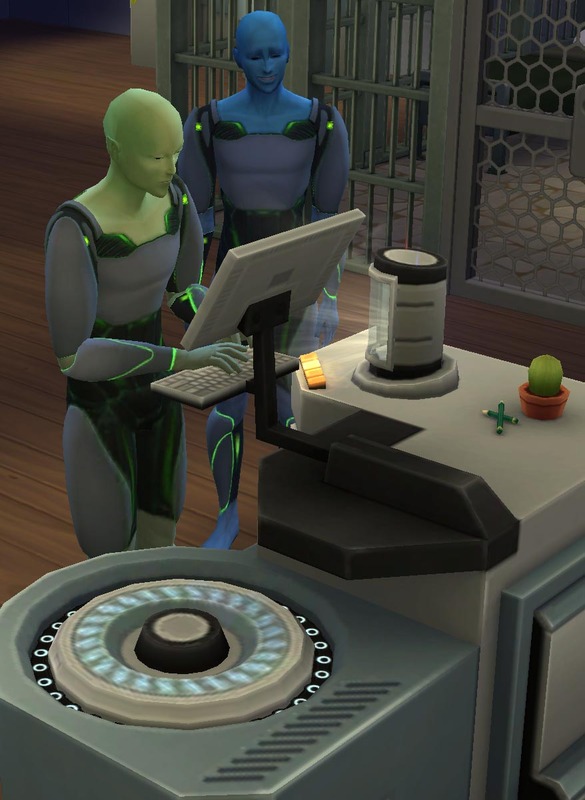 I randomly generated all of the aliens, in fact all of the sims except for “the chosen” in the desert town. The story just sort of grew out of who they were and I hope it will be a mix of good and bad that results in a fun time. 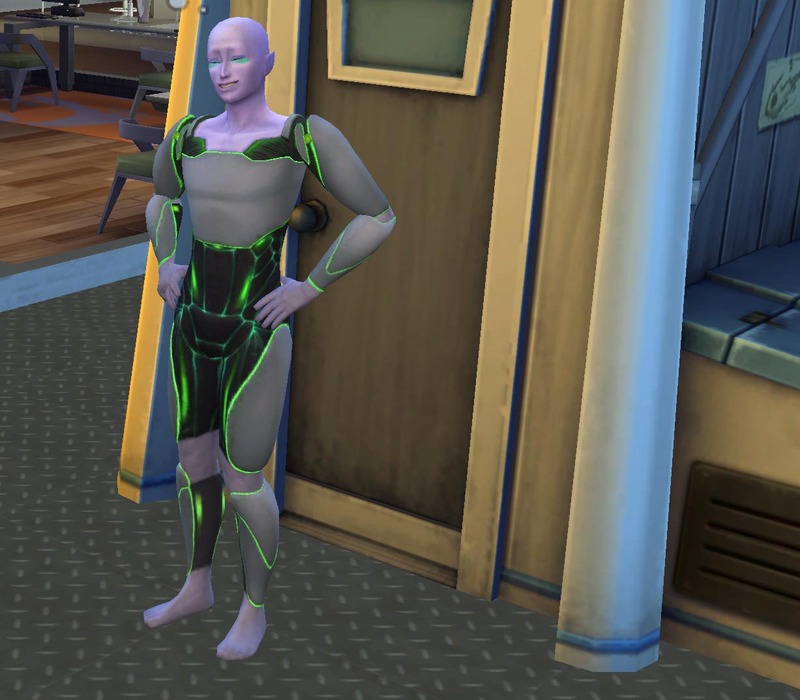 Random generation of traits leads to some pretty interesting sims, trying to figure out how the traits fit together in one person.